The Residence Ampurias is located in Località Lu Bagnu, a nice seaside resort, about 2 Km from Castelsardo, easily reachable by public transport. The property is only 10 metres from the famous and beautiful "Sacro Cuore" beach, reachable through an handy path directly connecting the hotel to the beach, characterized by a long strip of golden fine sand, framed between sandstone cliffs. The very clear water, rich in undertones, is one of the purest in Sardinia. The Residence comprises 17 apartments among Studio-Flats and Two-Rooms Apartments, offering then very spacious terraces with a spectacular sea-view. Nearby the property, one finds also shops, supermarkets and a self-service petrol station. Opening season: 07 February - 30 December. The Ampurias Residence rises in the Località Lu Bagnu, just in front of the enchanting beach of Sacro Cuore, framed among cliffs, and about 2 Km from the town centre. 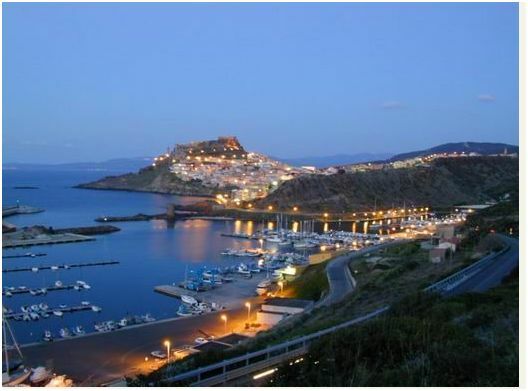 Castelsardo is about 30 Km from the Porto Torres port, 60 Km from Alghero Fertilia airport and 100 Km from Olbia airport and port. From Alghero: drive on the SS 127BIS until Sassari, then keep driving following the SS200 until Castelsardo, Località Lu Bagnu. 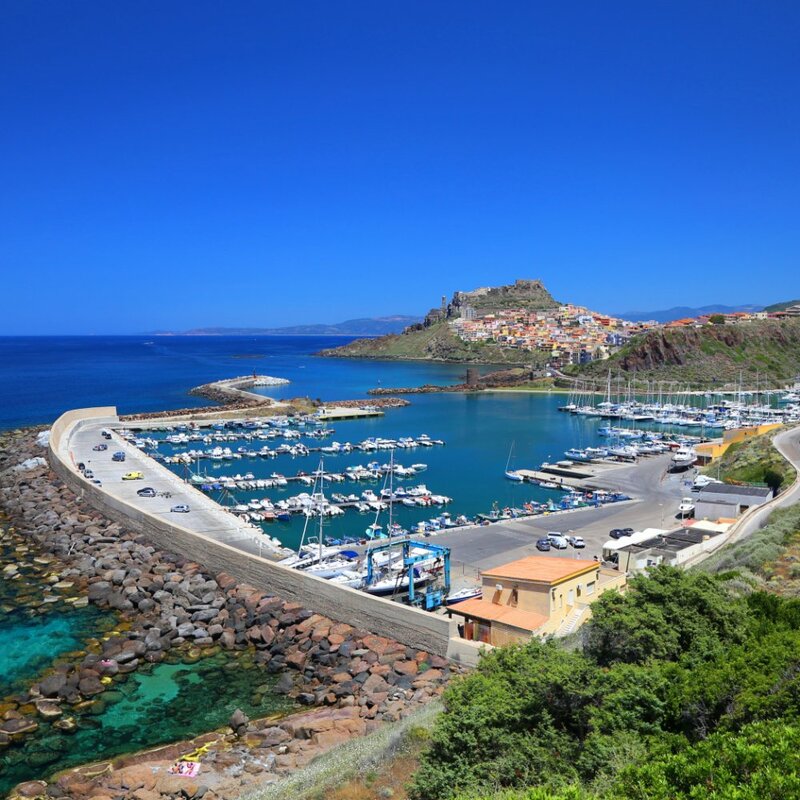 From Porto Torres: leave the town and take the SP81 towards Castelsardo; after having driven through the Eden Beach, take the SS200 and follow the directions to Castelsardo, Località Lu Bagnu. - Deposit: Euro 150,00 per apartment, refundable at the departure. - Mattress for couch: Euro 25,00 per week. Arrivals with delivery of the apartment are from 17.00 to 21.00 o'clock, with departure compulsorily by 10.00 o'clock on the departure day. Arrivals after 21.00 have to be noticed in advance and there will be an additional cost to settle on property of Euro 50,00 for arrivals by 22.30, Euro 77,00 for arrivals by 24.00; after this time there will be a supplement of Euro 130,00.